Jackola is one of Indy’s busiest DJs, infusing multiple styles of house music at bars, clubs and events across the city, state, and even in major cities like Denver, Chicago and Detroit. He’s opened for the likes of Paul van Dyk, Derrick Carter, Green Velvet, Above & Beyond and Donald Glaude, as well as played at large scale music festivals like Forecastle Festival, Monolith Festival, Midwest Music Summit, and Mojostock. Jackola is no stranger to festivals, as one of the founding promoters of Broad Ripple Music Fest, now in it’s fifth year. You never know if you’ll catch him playing tech house, funky house, hip house or even a little bit of dubstep, but one thing’s for certain: he commands the dance floor to move! Music has always been at the heart of Jack Shepler, aka Jackola. Growing up Jack took part in choirs and had piano lessons, giving him a strong musical background. As a teenager his main interest was music and was a “bedroom DJ” aspiring for more, so he traded in his bass guitar for a pair of turntables and a mixer — he hasn’t left them alone since. In 2003 he had his first “real” DJ gig – a benefit dance at his college that he repeated the following year. 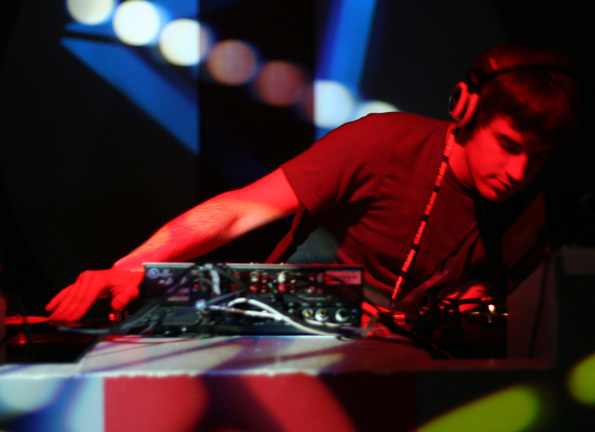 In late 2005 Jackola was offered a DJ residency at The Mark III Taproom in Muncie, Indiana, where he really honed his skills as a house DJ amongst other styles. Jack promoted indie rock shows in Muncie under the name “Rock Music Review Showcase”, featuring bands like Everthus the Deadbeats, Everything, Now!, Brazil and touring bands, supporting and promoting his online music magazine, rockmusicreview.com. In early 2007 Jack graduated college and moved to Indianapolis where he quickly became a part of the local music scene – both electronic and indie rock. In May 2007, Jack and some long time friends founded sideTrack Entertainment. The group started booking and promoting a weekly electronic night called PLUSH on Thursdays at Therapy Nightclub & Lounge in Indianapolis, IN. The night, which went strong for over 9 months, booked over 50 quality, up-and-coming DJs. Jack is also one of the founding promoters for the Broad Ripple Music Festival, a yearly festival featuring hundreds of bands and DJs on multiple stages, all raising money for a selected local non-profit. He also writes a monthly column, “Discopolis”, for NUVO Newsweekly that covers dance and electronic music in Indianapolis. Jackola’s musical style is eclectic to say the least. You can catch him playing dance rock and fidget house between bands at a concert, or spinning funky house tech house in other atmospheres. Jackola has opened for or played on the same bills as many internationally recognized bands and DJs, including Paul van Dyk, Derrick Carter, Above & Beyond, Miles Maeda, Woody McBride, Hyperactive, Terry Mullan, DJ Shortee, JJ Flores & Steve Smooth, Mickey Avalon, Dirt Nasty, Tommie Sunshine, Bryan Jones, Angel Alanis, Mazi, Justin Long, Adam Jay, Slater Hogan, DJ Shiva, and DJ Deanne — just to name a few. Besides Indianapolis, he’s played out in Chicago, Denver, Louisville, Cincinnati, Ft. Wayne, Dayton and more. May 17, 2009 – Hoosier 250 Tricycle Race @ Mass Ave.